Could your MO’ man do with a little support for their MO’ campaign? We here at Fresh Collective love the men in our lives. We know how important supporting the health of the men around us is, which is why we always love November… err… MOVEMBER. On that note, we’re on the hunt for a few good MO’s. 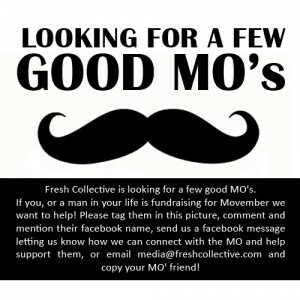 We’re taking submissions until November 11 of men in our communities who would like our support on their MO’ campaigns. It could be a group of guys at your husbands work who are teaming up, or it could be your brother and father, or your co-workers or the guy you ride the subway with every morning – whomever the men are in your life, we want to support their health and their moustaches this month. If you want to nominate a man for our support please email us at media@freshcollective.com and copy the man you think could use some support. We will then reach out to them and see how we can help! Growin’ a Mo? Let us know! From November 12 – 24th we’ll promote the men in our community, so get ready to see more men on the FC facebook page, twitter, blog and in-store! Last year our only male employee Joe, grew his moustache all month, and we collected funds in our stores to support his campaign. We dominated our stores and window displays with moustaches, and shared Joe’s MO’ progress on our social media. This year we wanted to take it to another level and support as many men as we can in our communities by sharing their fundraising pages, moustache growth and stories on all our social media platforms, dedicating a MO’ wall of fame in our stores in which we will show the progress of our men’s MO’ growth, and we will tell everyone around us how they can get involved and support Movember with Fresh Collective. 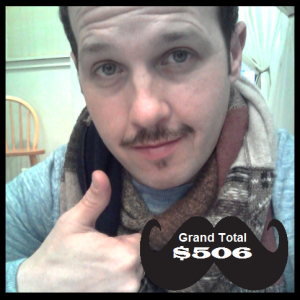 Click the image to relive Joe’s 2012 Mo’ Journey! We’re really stoked on supporting Movember campaigns because of what the charity is up to. I perused their website to find this key information that outlines exactly why Movember is encouraging men of Canada to grow their infamous ‘staches at this time of year. So if you have a man in your life that’s contemplating growing their MO, or they already are, please let us know how we can help and send me an email today. Last night our Queen St store was full to the brim with lovely ladies ready to celebrate Earth Day in style at our Swap and Shop event! We had so much fun browsing the overflowing rack of pre-loved goodies, making new friends, munching on organic snacks from 4 Life Natural Foods, and finding new gems to wear for spring! 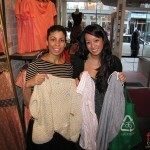 The store filled up with fashionable ladies all set to celebrate Earth Day with our Swap and Shop! 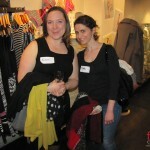 Two of our lovely swappers with their arms full of new goodies! 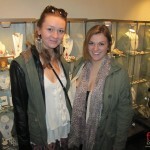 Gorgeous gals enjoying the event while perusing the latest jewellery in store! Blogger Zhina, of Greek Yogurt & Skinny Lattes shows off her new find! Two more sweet shoppers showing off their new gems! 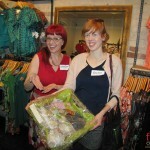 Lucky swapper Andrea took away the fabulous gift basket from our friends at Bullfrog Power! 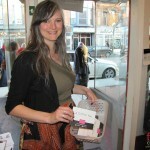 Aimee treats our swappers to a gift from our friends at Trend Trunk! We’d like to give special thanks to Bullfrog Power who donated an amazing gift basket (and provide green energy to all three of our stores), and to our new friends at Trend Trunk who hooked up our swappers with some awesome gift cards! Thank you to everyone who came out and participated in our Earth Day celebration! 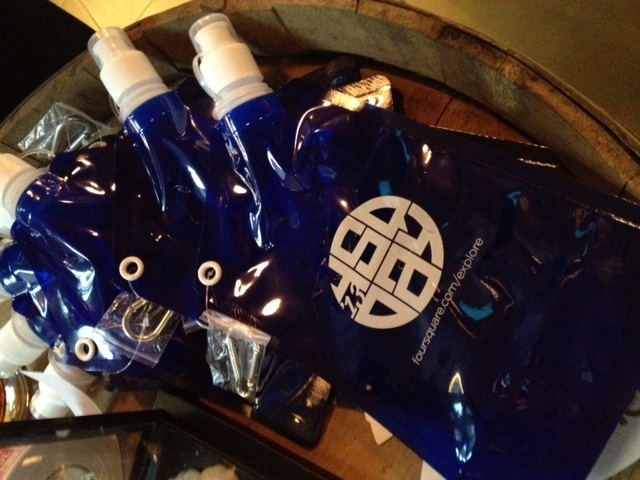 We hope you all love your new goodies! At Fresh Collective, we are committed to sustainability, eco-consciousness, and being a contribution to the world. We shop local, support local talent and in the last year switched to a sustainable energy source in all our stores through Bullfrog Power. Tonight we are hosting a Swap & Shop event in our Queen St store and it’s hosted by one of our most prominent eco-friendly designers: Jennifer Fukushima of Paper People Clothing. The handkerchief hem scarf dress is quickly becoming Paper People’s signature piece for the spring/summer season. 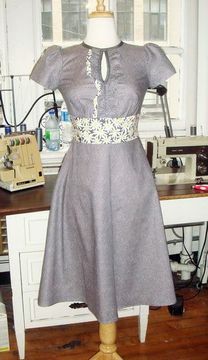 This year we’re pleased to offer the Cynthia Dress. The dress features a cross over v-neck bodice with narrow lapel and long ties that can be wrapped around to cinch you in where it counts! Made from super comfy organic cotton/spandex jersey and matching poly lining, the patterned, reclaimed scarves make each one special and unique! Dress it up for graduation or a summer wedding or just have fun every day! We’re excited for these new dresses to arrive and think they’re going to be a big hit this summer! Come by and try one on this week! 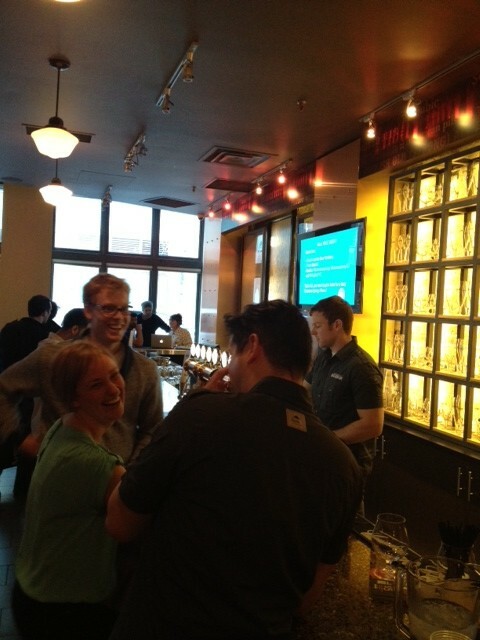 I had a blast attending Foursquare Day on Tuesday night! The evening was full of fun, networking, laughter, delicious beverages, yummy food (thanks for the delish veggie wrap Lou Dawg’s! ), goofy photo ops and great giveaways! The Beer Academy was buzzing with social media professionals and app nerds galore, and hosted (as you now know) by the lovely web mavens Nat & Marie, who we were proud to dress for the occasion. 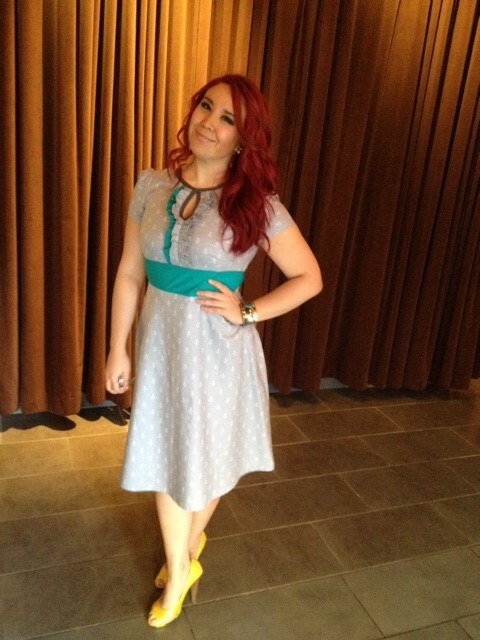 Nat wowed the crowd in this gorgeous dress by Desserts & Skirts! 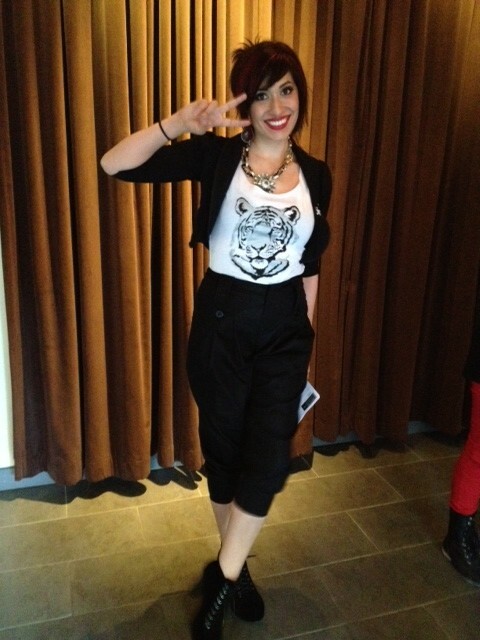 Marie totally rocked this great outfit featuring a bolero jacket from Kollontai, Tiger tee from Things Aren’t So Terrible and amazing trousers from Monikova! I chose to wear this pastel coloured number by Brenda Beddome which I topped with a leather jacket for a little rock and roll edge… as well as this hat and glasses… for a… cartoon Johnny Depp look? Okay okay… they were photo props, relax! 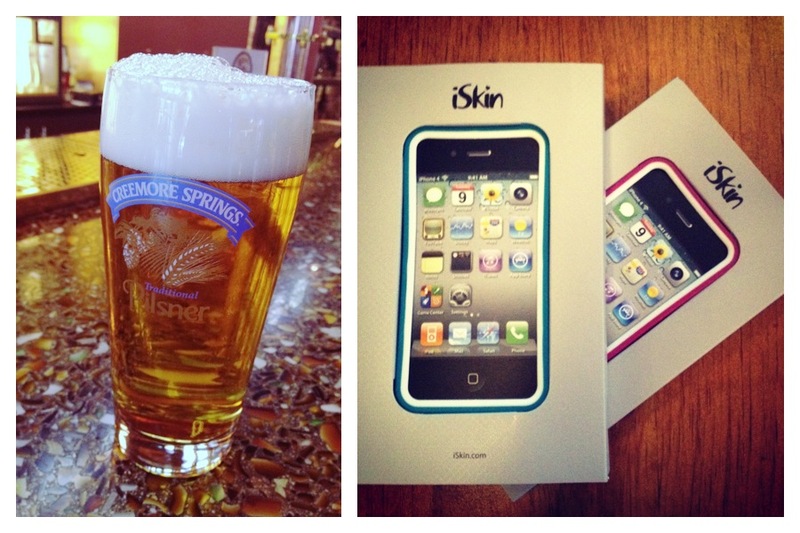 Other great perks: I got a yummy Pilsner from Creemore Springs and a brand new case for my iPhone thanks to iSkin! Thanks to Karly from Foursquare Day, Nat & Marie for promoting FC so beautifully and all the other partners and attendees for a wonderful 4/16! See you next year! Liz is the Foundress of LIZPR (www.lizpr.com), a company that promotes and styles classical musicians. Liz prepares her clients for the stage, photo shoots, and auditions, but she loves styling anyone who wants to make a statement (from conservative to edgy) with his or her apparel. 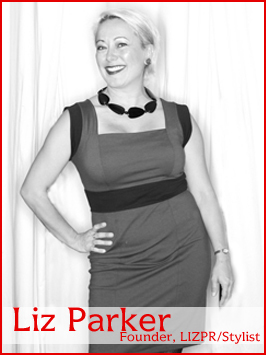 Liz encourages her clients to step out of their comfort zone and try something on they never would have chosen. With every outfit you try on, be prepared for this! This Fresh, Fun, Fabulous event is also your opportunity to preview the new 2013 Spring line from Desserts and Skirts! You’ll have a chance to shop the collection (and the entire store) before and after the styling session! BONUS: Desserts and Skirts designer Nicole Boudreau will be giving away a piece from her spring collection! Fresh Events: Colour Your Spring! Join us this Thursday, February 28th from 7:30-9:30pm as we open up our Queen Street store for a night of fun, fabulous fashion and set you up to leap into Spring head first! Receive a complimentary consultation with our amazing Style Coaches and learn what colours work for you, which shapes are the most flattering for your figure, and how to make them work together! 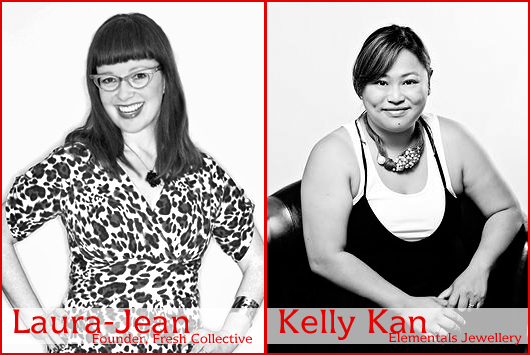 Our Style Coaches for the evening… Laura-Jean Bernhardson and Kelly Kan! Find the right shapes and cuts to show off and play up that amazing figure of yours, curves, no curves, and everything else! Bring your friends, and show up ready for a fun evening with our top-notch stylists and get ready for all the amazing things spring has to offer! 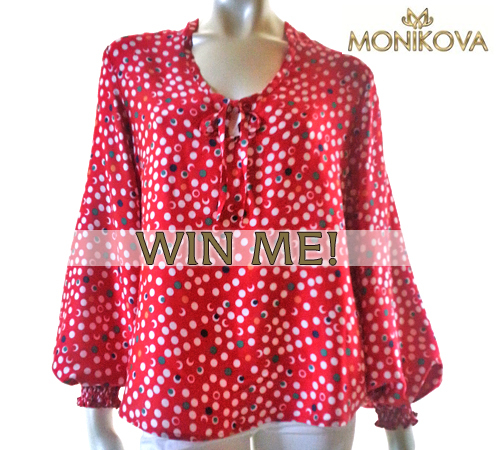 Bonus: Win a blouse from designer Monikova! One lucky attendee will walk away with a brand new Monikova blouse! This Fresh, Fun Fabulous event is also our opportunity to preview the new Spring 2013 line from MONIKOVA! You’ll have a chance to shop the collection (and the entire store) before and after the styling session. Click the button above to check out the event on Meetup and secure your spot! See you Thursday! What to Wear Wednesday – Happy GALentine’s Day! We are ALL about ladies celebrating ladies and so – we at FC are totally taking on the Parks and Rec way of life! HAPPY GALentine’s DAY! Sooooo the perfect Galentine’s Day outfit? It mixes comfort and a little sass! Wear your favourite pair of comfy black Yoga jeans with a brand new Kollontai tunic (just arrived THIS WEEK!). This tunic is flirty and romantic, but still manages to be casual over jeans and paired with sweet Chaste Skimmer flats from Hush Puppies (also brand new)! Toss a Mandala cardigan over top to keep warm and you’re ready for a night out (or in) with your best gal pals! Unsure of what to do for Galentine’s? Why not grab a girlfriend and bring her down to Fresh Collective Queen St tonight at 7:30 – You’ll have a blast shopping with our style coaches, seeing our new spring arrivals and meeting even more great gals! 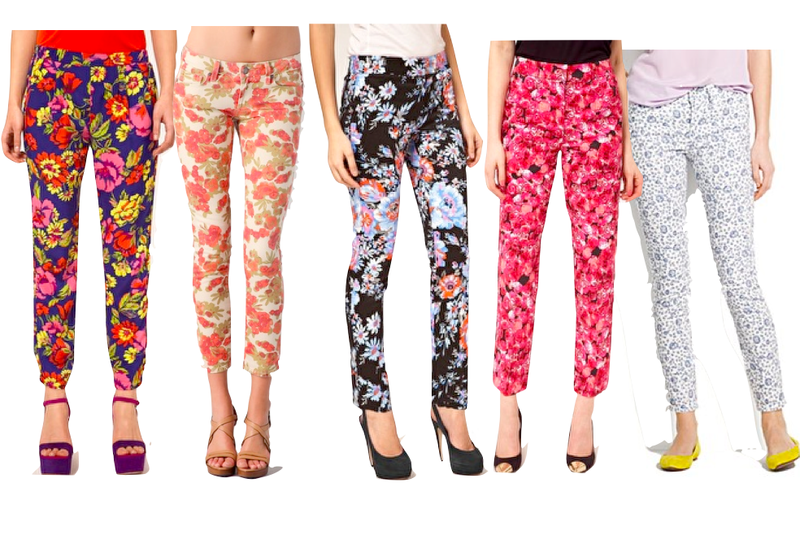 Even more fun: We’re GIVING AWAY 2 pieces from the Kollontai spring collection! Click the photo below for event details and to RSVP! 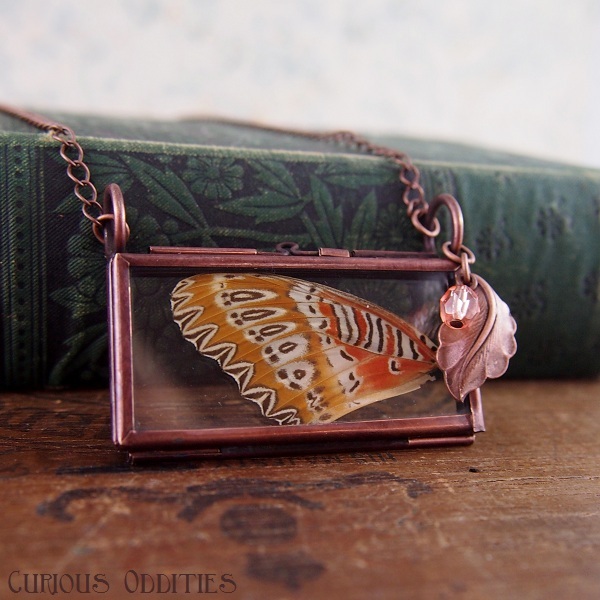 Something Sweet and Special from Elementals Jewellery! Custom Bracelets from Elementals Jewellery!Kelly Kan, the fabulous talent behind Elementals Jewellery has something special planned this month! 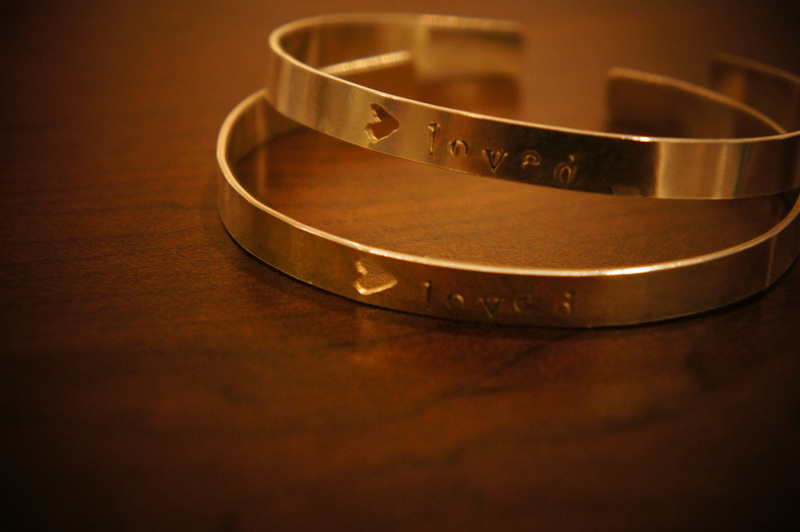 February 8th & 9th at Fresh Collective Queen St, Kelly will be offering customization on her bangles (pictured below) and plain tag bracelets (same as pictured above, but without the raw diamonds). 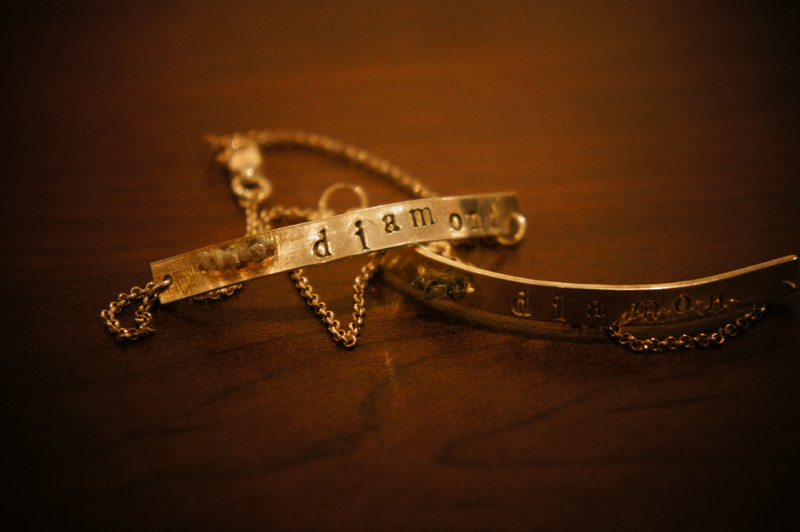 These stunning pieces can be customized on the spot with your name/message! Plain Tag Bracelets will be $59.00 +tax, bangles will be $79.00 +tax, and Kelly will even be waiving her usual customization fee so those prices are all inclusive! How long have you been designing/where did you get your start? I guess you can say Jewellery Design is in my blood. My family have been in the fine jewellery business for three generations. I was given my first kit with plastic beads at three, I think. Growing up, I never bought any of my friends Christmas or Birthday presents- everyone always got handmade necklaces or bracelets. I spent a lot of time with friendship-bracelets-in-progress pinned to my jeans as an early teen. I have always loved mixing textures, high-lows and design influences. My signature piece for Spring/Summer 2013 is a perfect example of the aesthetics that I love- It’s a very classically crafted double strand of Swarovski pearls, with a beautiful Art-Deco inspired clasp – but the pearls are this delicious matte neon pink. 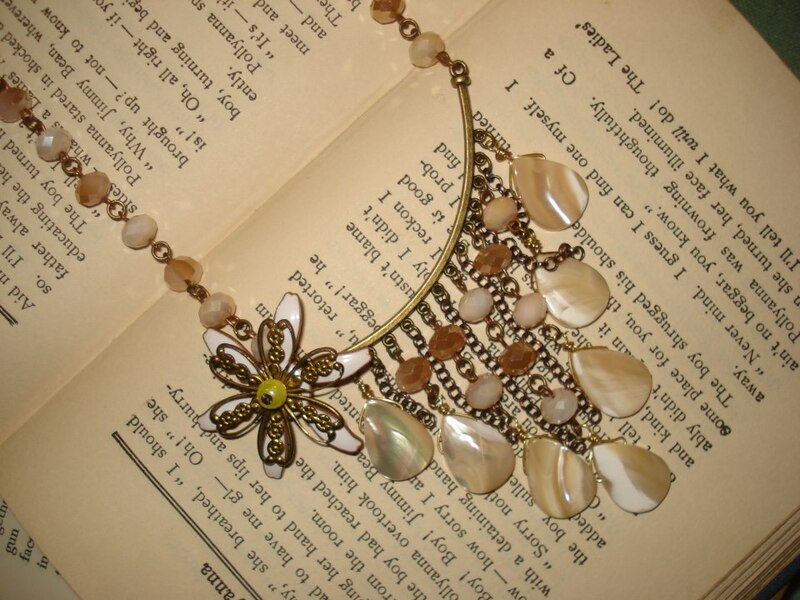 I would love to see my jewellery on Local Torontonians! Off the top of my head – Sarah Polley, Meaghan Rath and Anna Silk. What is the most rewarding part about having your own line? I get to pour my creativity into my very own vision. I don’t need to answer to anyone else’s design mandates except my own and my client’s. It’s one of the hardest jobs I should imagine, but also the most fulfilling. The learning curve is steep. 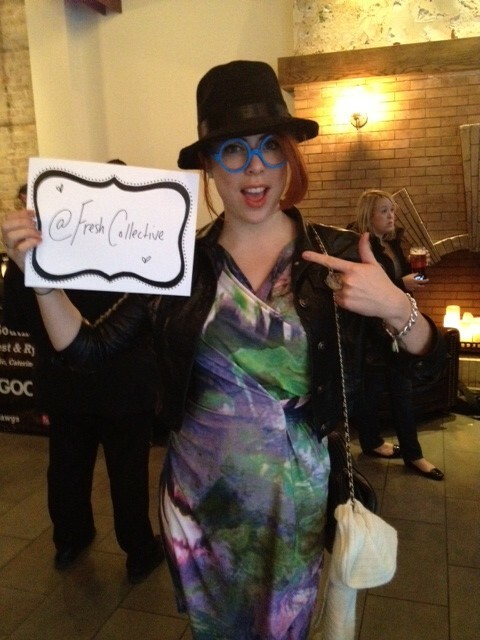 What has been the best part of your Fresh Collective journey thus far? Working for yourself is lonely- I hide in my basement all day! Being part of the Collective puts me back into a community of like minded, talented people. Co-hosting this Queen St Trunk Show will be the awesome Jessie Tucker Lyzwa of Sugar Rush – another one of our fab jewellery designers! Jessie will be unveiling new pieces from her spring line as well as offering 40% off her Fall/Winter line! 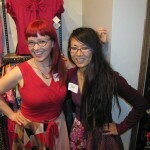 The Elementals/Sugar Rush Trunk Show runs from 1pm-5pm Friday, Saturday, Sunday (Feb 8, 9, 10). 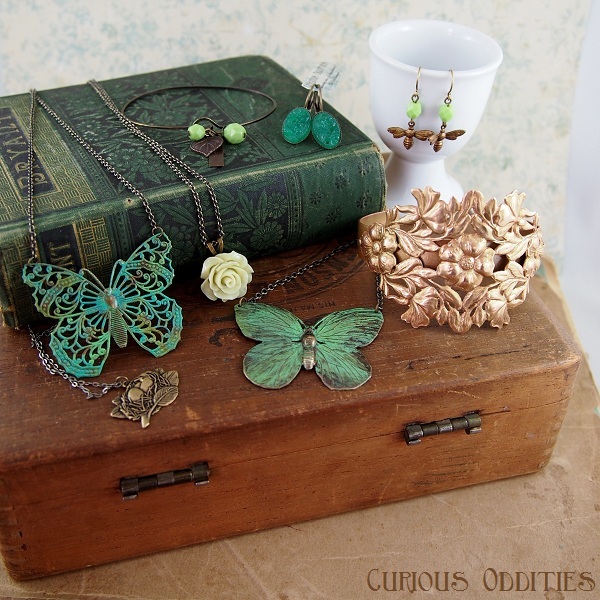 See our EVENTS CALENDAR for more up and coming Trunk Shows and Events.